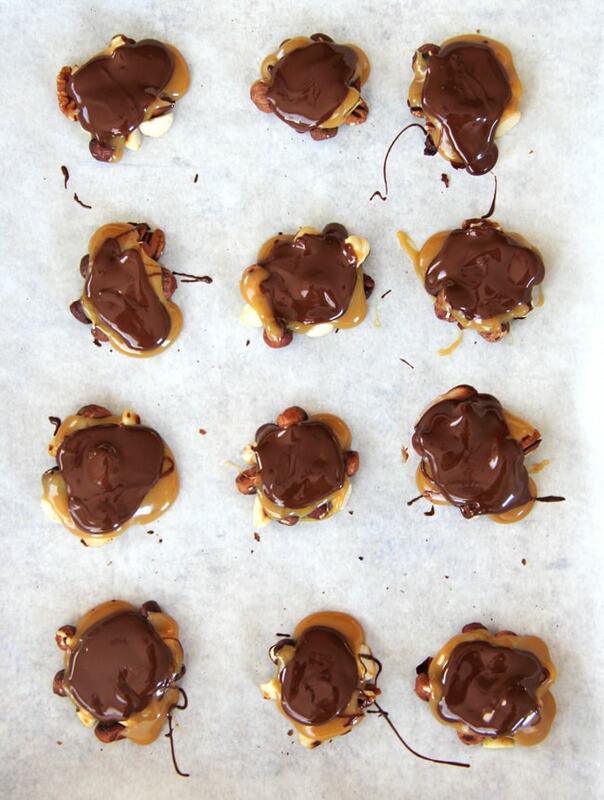 These Chocolate Caramel Nut Clusters are made up of 3 parts: a toasted nut layer, a creamy caramel layer, and a rich and smooth chocolate layer which basically makes them a flavour explosion in your mouth. I love the holiday season because it’s the perfect excuse to bake and create in my kitchen. Ok, I don’t really need an excuse, but I do especially love cooking for the holidays! 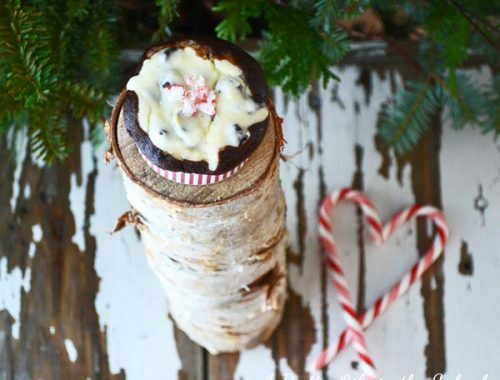 Today I’m sharing a delicious holiday treat made with Lindt chocolate! 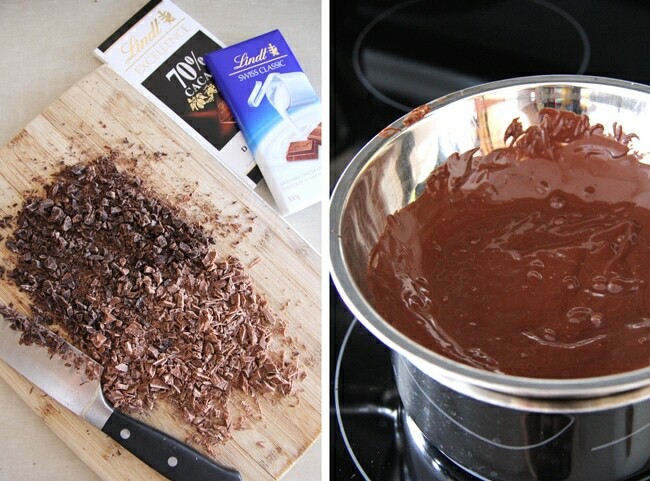 Seriously, any recipe with Lindt chocolate as an ingredient is guaranteed to be amazing. Truth be told, Lindt chocolate is a favourite of ours and has made an appearance in our home for many, many years. And here on Christmas morning, after Santa comes, if you dig into the very bottom of your stocking you can find a few of the Lindor Milk Chocolate Truffles! Actually first it’s a mandarin orange, followed by these truffles…so basically it’s breakfast! 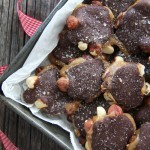 For this holiday season I decided to make one of my favourite chocolate treats, which are nut clusters. 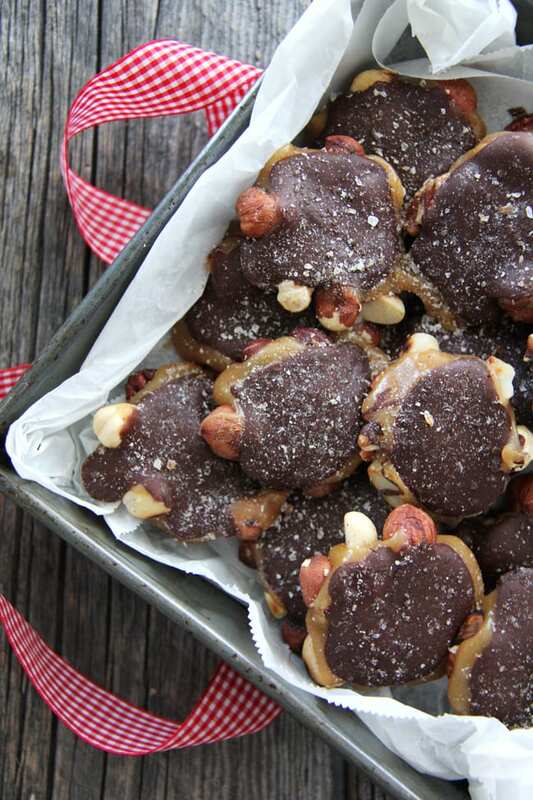 These Chocolate Caramel Nut Clusters are made up of 3 parts: a toasted nut layer, a creamy caramel layer, and a rich and smooth chocolate layer which basically makes them a flavour explosion in your mouth. 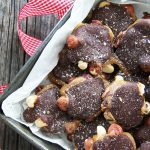 These homemade chocolate treats are so delicious especially if you make them with the best kind of chocolate. Serve them up as a little sweet treat after dinner, or make a batch for giving away as gifts…homemade gifts are the best…especially delicious chocolate ones. For this recipe I used Lindt chocolate: The Swiss Classic Milk Chocolate Bar and the Excellence 70% Dark Chocolate Bar. I love dark chocolate but I wanted to cut the flavour with some milk chocolate, and the combination was perfect. For the nut base, I used a combination of pecans, hazelnuts and macadamia nuts, but you could use walnuts, peanuts or brazil nuts…what ever you like! 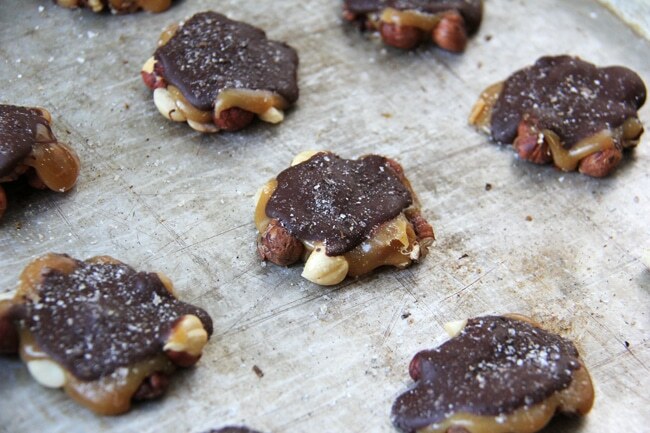 The great thing about making chocolate nut clusters is that you can tailor them to your taste buds. Once the nuts are toasted and gathered into little clusters, it’s time to add the homemade caramel. 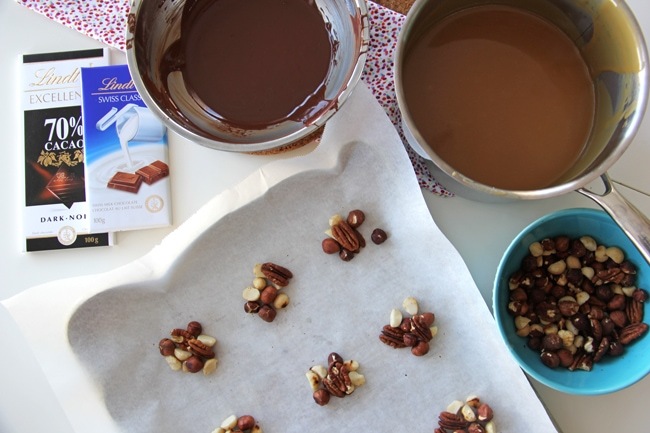 The addition of the creamy caramel pairs so perfectly with the nuts and chocolate. 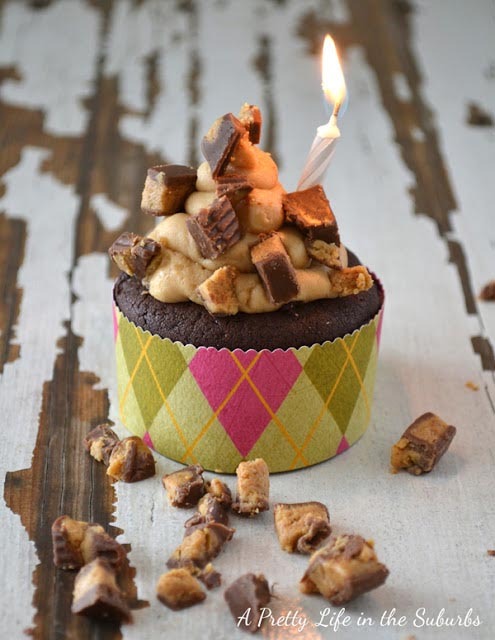 Swirl on a layer of creamy warm chocolate…you’re almost there. Then to finish off these treats I sprinkled a coarse sugar and vanilla blend onto the tops, but you can also use sea salt. Delicious. 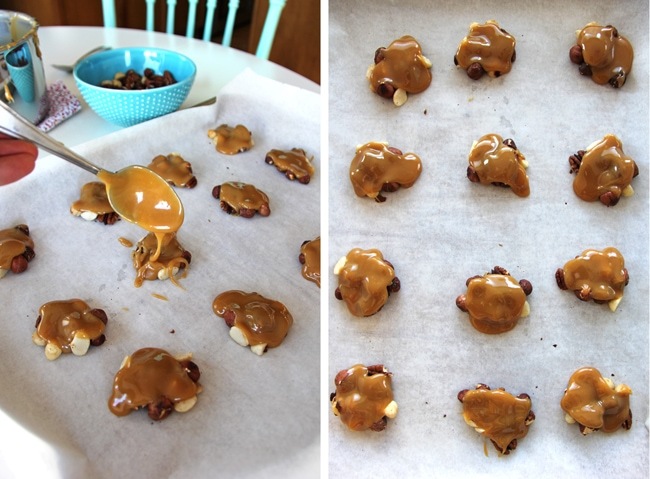 These Chocolate Caramel Nut Clusters are definitely worth the effort! Add the brown sugar, corn syrup and sweetened condensed milk. Bring the mixture to a boil over medium heat. Cook while stirring constantly, until the temperature of the caramel reaches 243 degrees, about 15 minutes, then set aside to cool. Toast the nuts in a skillet over medium heat. Shake or stir continuously until the nuts start to turn golden brown (this only takes a few minutes). Transfer nuts to a bowl and set aside. Finely chop the chocolate bars. To melt the chopped chocolate, I put a heatproof bowl over a saucepan of gently simmering water (making sure that the bowl and pan fit together snug). Add the chopped chocolate to the bowl, and stirring constantly gently heat the chocolate until it is melted and smooth. Remove from the heat and cool until the chocolate begins to set on the side of the bowl. Set aside. 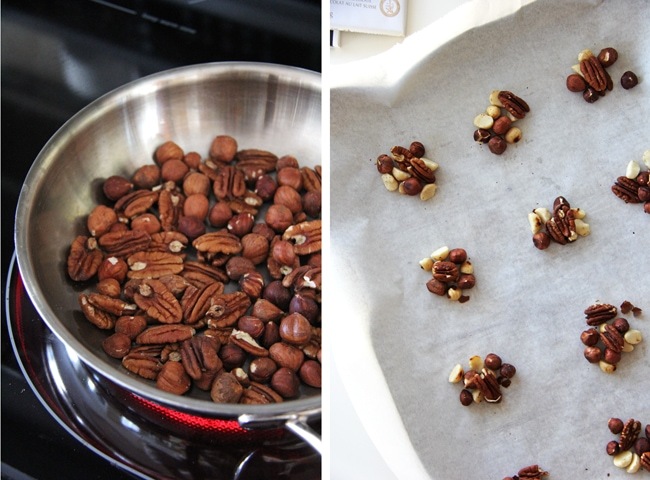 Arrange the nuts into little clusters on the parchment paper, separating the clusters by about 2 inches: I used 2 pecans, 4 – 5 hazelnuts and a couple macadamia nuts. Drizzle about 2 teaspoons of caramel over each nut cluster, working quickly so the caramel doesn’t have a chance to harden. Spoon about 2 teaspoons of the melted chocolate over the top of the caramel and nuts. Refrigerate for several hours or overnight. You can serve them once the candy clusters have hardened. 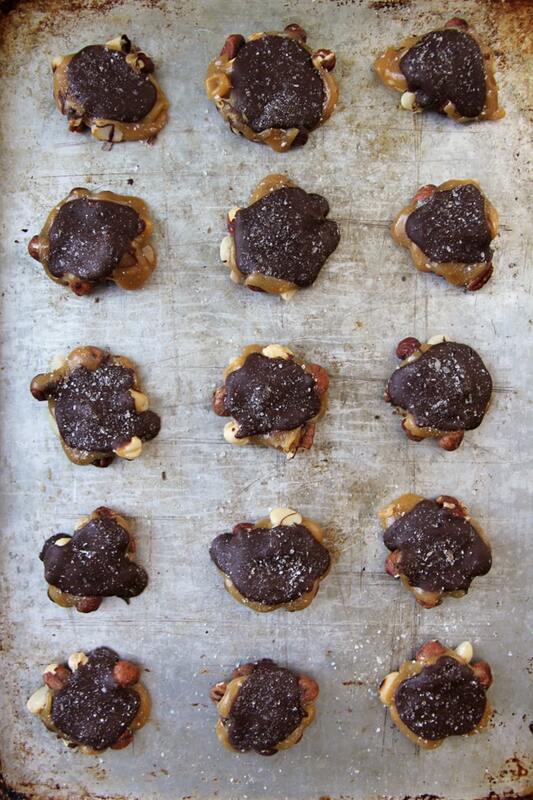 I sprinkled a coarse sugar and vanilla blend onto the tops of these clusters, but you can also use sea salt. That looks so good! I love cooking and baking for Christmas too. 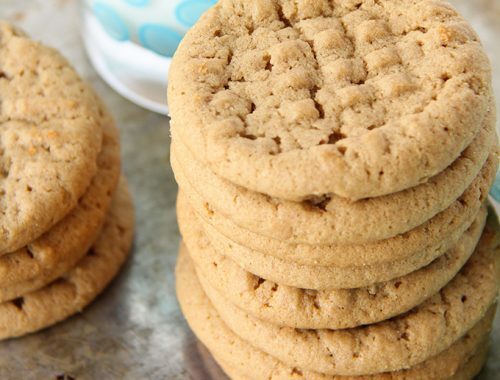 Mmm..these look so good and perfect for holiday treats!! These look delicious! I make a candy similar to this and it has always been a big hit. Thanks for sharing! Pinning this to try.